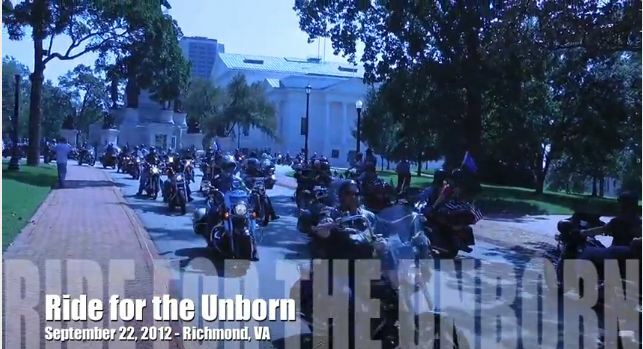 On Saturday, nearly 100 bikers from around Virginia rode through Richmond and Capitol Square in the first annual Ride for the Unborn. But you wouldn’t know about it from the complete inattention of the Richmond media. Nearly 100 motorcycling pro-lifers riding through Richmond and into Capitol Square didn't merit any media coverage . . . But the media can find time to cover this. The bikers rallied at the Richmond Outreach Center in Midlothian before forming a line of bikes and riding through Capitol Square. At the ROC, the riders heard from Kim Warburton, Executive Director of the Pregnancy Resource Center of Metro Richmond; Pastor Michael Hirsch of Calvary Christian Church in Fredericksburg, and me. This was a first of its kind event for The Family Foundation, but we were thrilled with the turnout. The message to Virginia is that the pro-life community is diverse, committed and making a statement that we are, indeed, the majority. Many of the riders encouraged us to do this again next year. It is very clear that the pro-life community in Virginia is energized and tired of seeing only pro-abortion protestors in the news. That message, however, doesn't fit the Richmond media's liberal-driven, so-called "war on women" narrative, making it easy for them to ignore nearly 100 pro-life Virginians rallying when they will cover a handful of NARAL protestors standing in front of the Attorney General's office. On a beautiful Saturday in Central Virginia, with no major car accidents or fires to distract them, the media, including WWBT/NBC12, which is located about 100 yards from the Ride for the Unborn's rallying point at the Richmond Outreach Center, simply chose to not let Virginians know. That's where you come in. Please share this blog link on your social media sites or e-mail it to your friends, colleagues and fellow church goers. Let them be encouraged that pro-life Virginia is stirring. Just over a week ago, hundreds of pro-lifers came out to the Board of Health meeting and, in a unique display of our diversity, we had a very successful ride on Saturday. 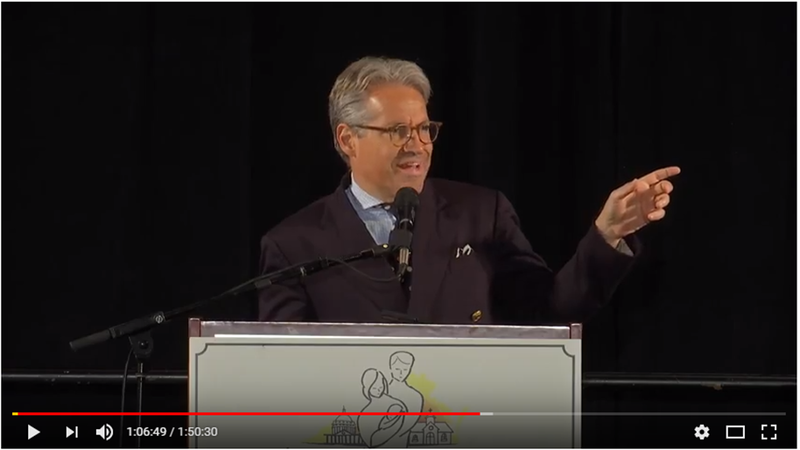 As I told the crowd of bikers Saturday, the pro-abortion movement in Virginia is becoming more militant, more aggressive, more vulgar, and while we must meet their anger with love, we cannot back down. And we will not back down. More photos of the event are available on The Family Foundation Flickr site. Because Saturday’s ride was so successful, The Family Foundation plans to make this Ride for the Unborn an annual event.